We have been challenged by the lovely people from AO.com to think more carefully about our family food shop and to meal-plan for four days without wasting ANY food. Food waste is a huge problem in the Uk - in fact it is estimated that we throw away 7 million tonnes of food every year which costs a huge £12.5 billion! Taking the time to plan your meals more carefully and use up leftovers/all ingredients is something that will not only save money but also help the environment too. Four days isn't a long time but meal-planning with the aim of not wasting any food is actually quite a challenge. Homemade Granola Jars are easy to make up the night before and grab on your way to work. 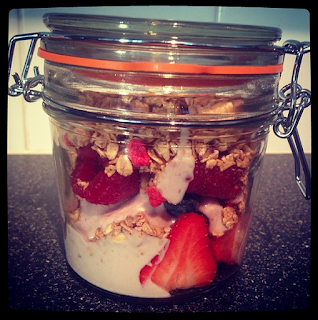 You simply need fresh fruit, yoghurt, granola and honey. Top tip - You need to stay disciplined and make this every day to use all of the fruit you buy as it doesn't tend to stay fresh for long. Top Tip - Buy chicken thigh fillets as this is a cheaper cut of meat and allows the meal to go further - there will be plenty for lunch the next day. 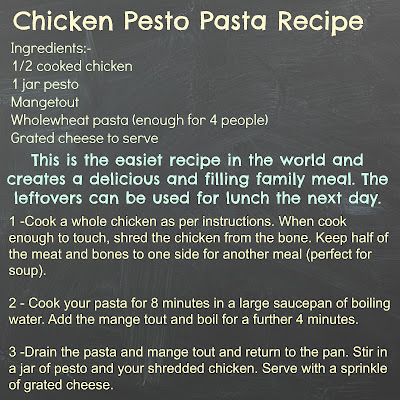 Also, make sure you plan other uses for your cheese as you won't use it all today (we have used a little in our pesto pasta and chicken soup). 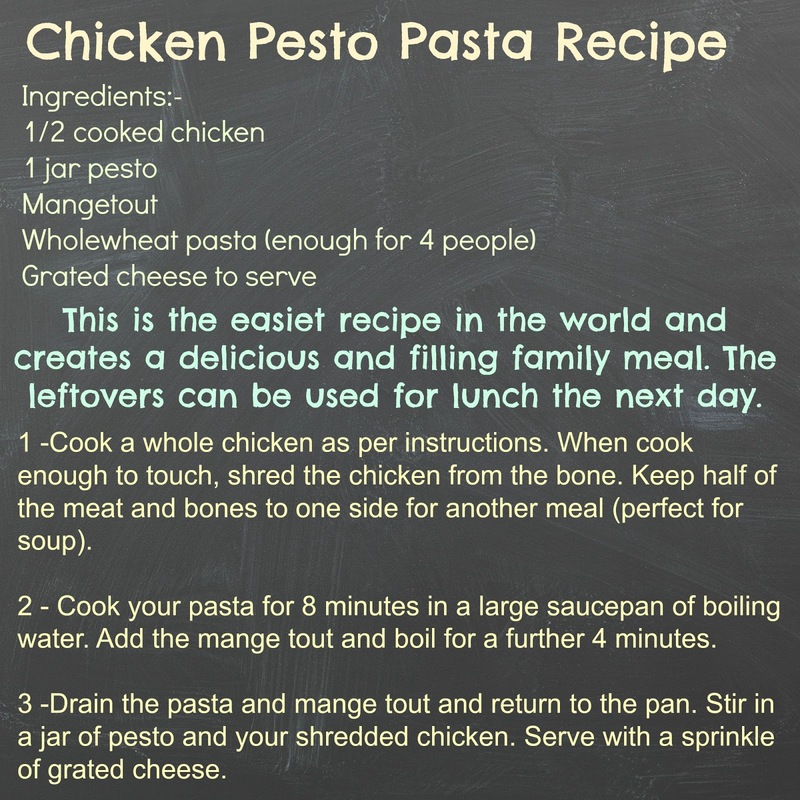 Top tip - You can plan two meals out of a whole chicken - in this case we have made pesto chicken pasta and soup. 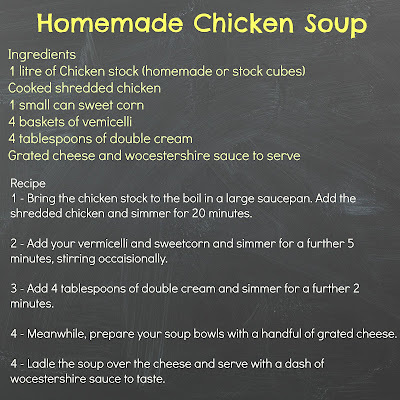 Top tip - You can make your own chicken stock cubes by simmering chicken bones with leftover vegetables/peelings, garlic and herbs for a few hours. Strain through a sieve then return to the pan and reduce until it thickens. Then pour into ice cube trays and freeze until needed. Top tip - Homemade burgers are a fab way to get the kids involved in the kitchen. You just need beef mince and you can add your own ingredients to 'build your own burger'. 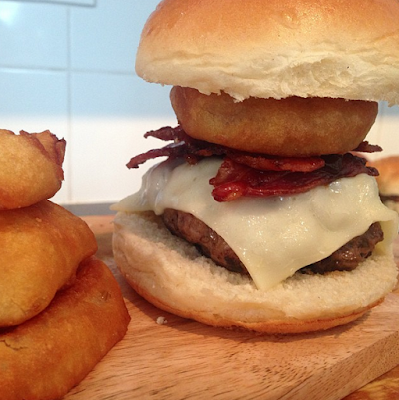 We like to add cheese slices, bacon, BBQ sauce and onion rings for a Friday night treat. You can freeze any extra burgers you make for another time. I was shocked to learn that every month families in the UK throw away £60 worth of food that could have been eaten (source - LoveFood hatewaste). On reflection, our family easily falls into that category with fresh fruit and leftover salad/vegetables being the main items that are wasted. Taking the time to plan every meal has certainly helped - I will be posting next week to let you know how we got on and if we did manage four days without wasting any food at all. 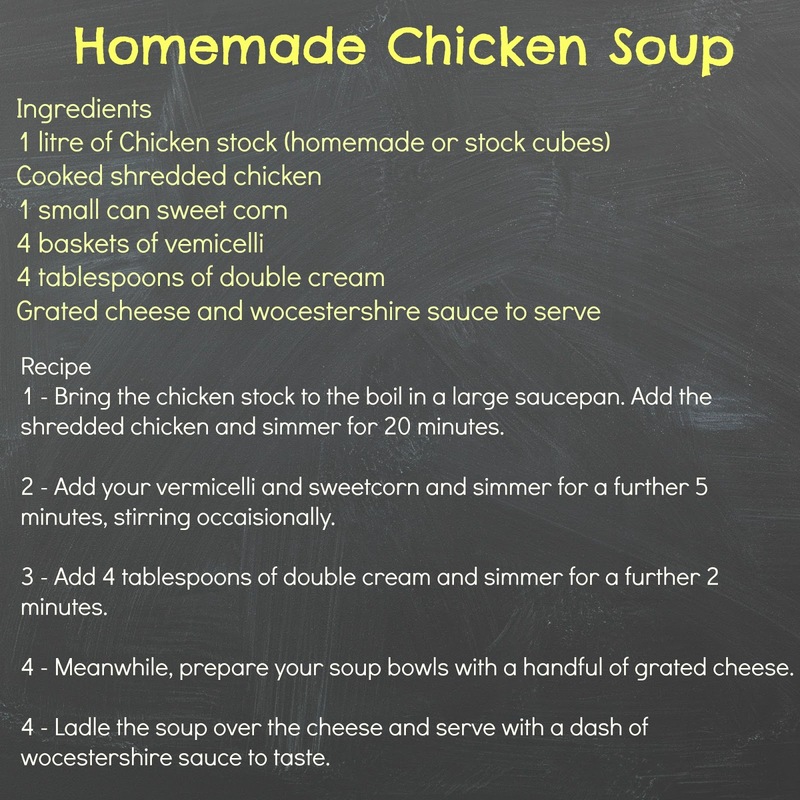 In the meantime, I would love to hear your top tips for making sure you use up leftovers/don't waste any food. Yum! We don't waste much food really, I make cous cous in huge batches and just have that every day with chicken and then the kids have whatever they want. Cheep, cheery healthy living in our house. What a great post! I'm not organised enough to plan meals properly. I don't think we waste much, but it would be a great challenge to see how much we actually do. Wow, you've done pretty good job! I wish I can plan my meals the same way you plan yours! I'll definitely try to reduce my food waste and start cooking meals with the leftovers as well.